Give us the heaviest, wettest snow. We'll bust it. 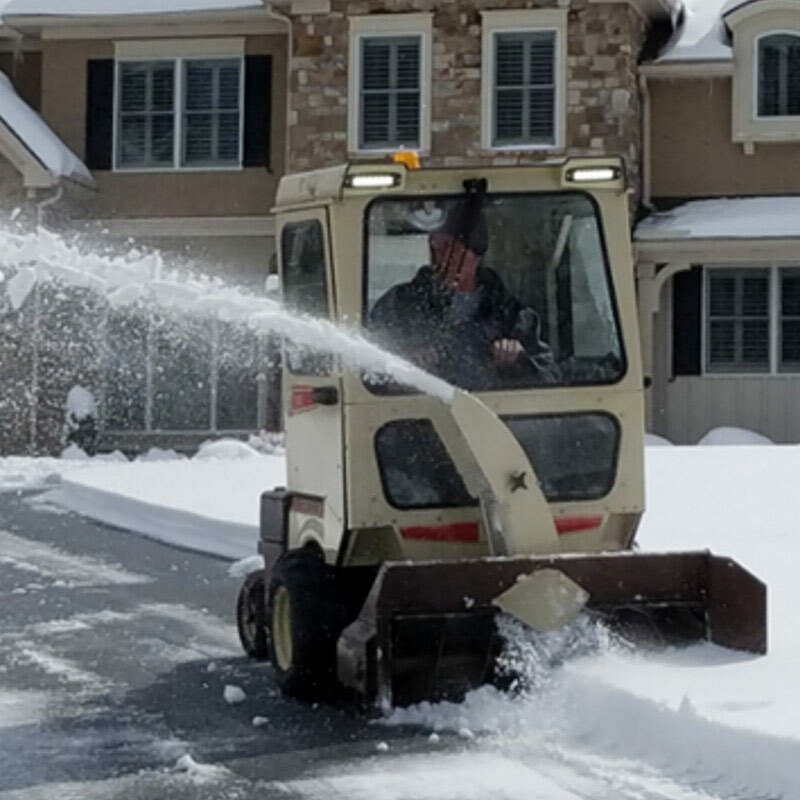 Grasshopper FrontMount™ zero-turn mowers are the heart of a complete, high-performance snow removal system that easily busts even the deepest, heaviest, wettest snow. 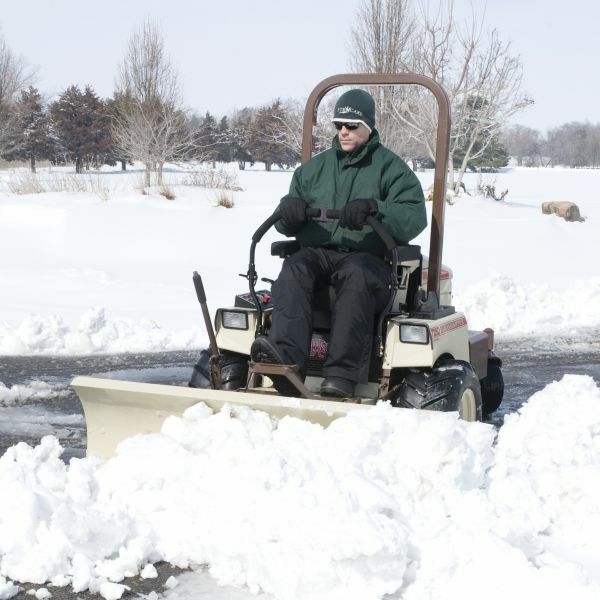 Clear sidewalks and driveways with no wasted motion, and move in and out of tight spaces quickly and easily. 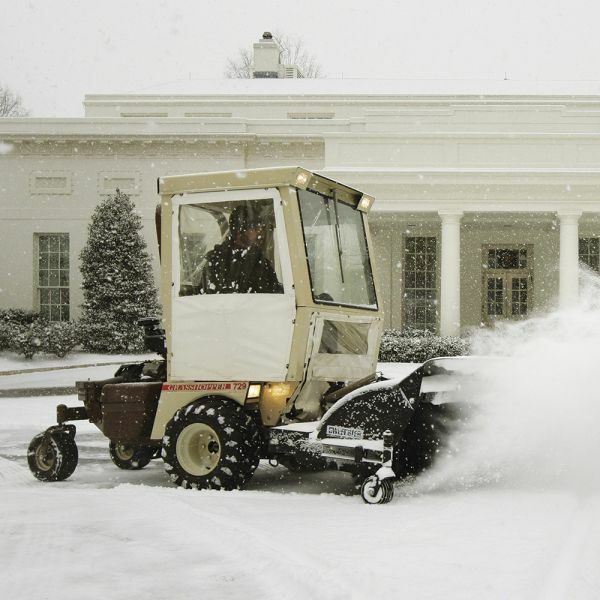 Clear snow with the same machine you mowed with all summer. True ZeroTurn™ maneuverability with a lightweight footprint versus skid steer or quad systems, combined with a close-coupled implement connection, are key to clearing articulated pedestrian walkways quickly with minimal weight on the concrete, thus insuring the sidewalks are no worse for the winter wear come springtime. 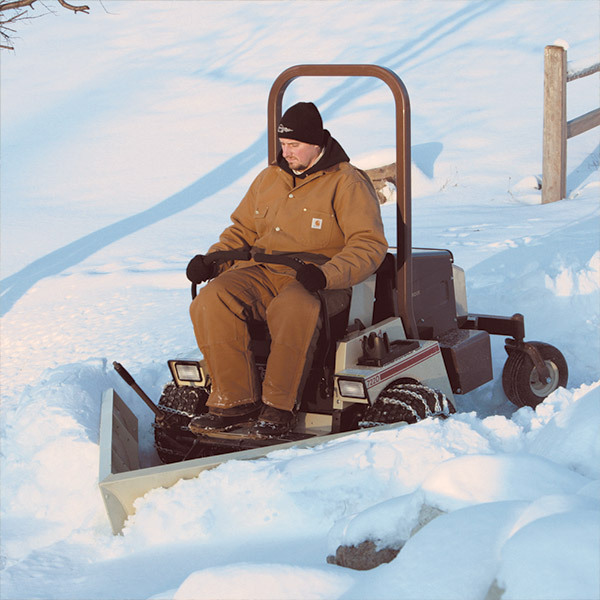 Learn more about our collection of snow removal implements.